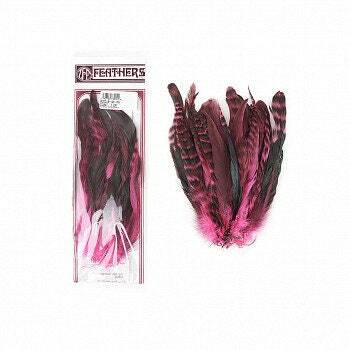 These ZUCKER™ feathers approximately 7-10 inches long and are in a 25 piece package. 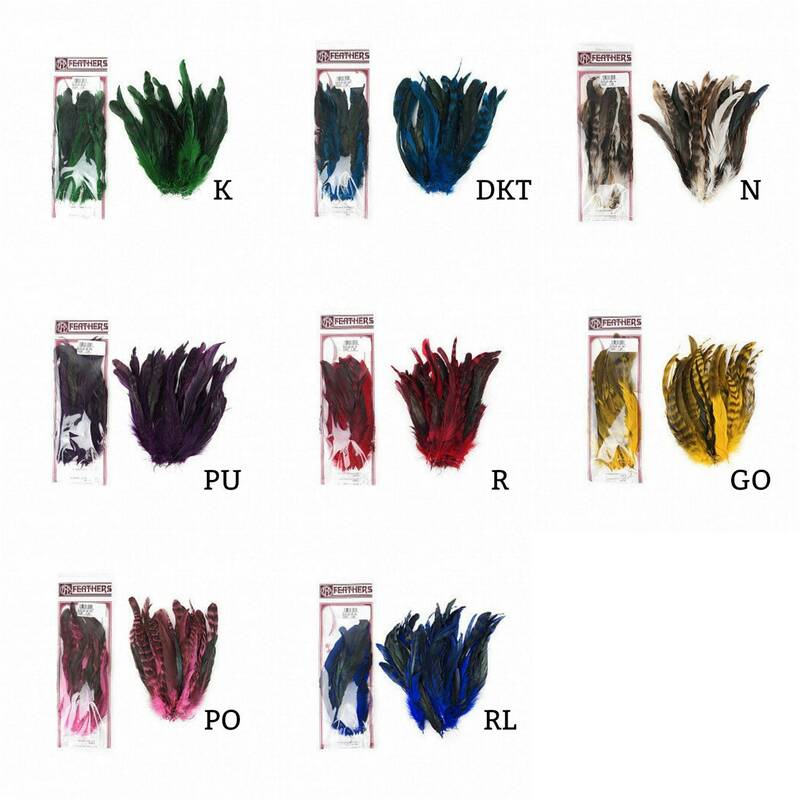 Available in Natural or Dyed over natural Rooster Coque Tail Feathers with natural barred stripes and iridescent markings across the feathers. Rooster Coque tail feathers have a sturdy, but flexible spine (quill), and the body of the feather tends to be approximately 3/4-1 inch wide.